As established in other “Watch Your Language” articles for this Blog, as a general rule, courts will uphold language in commercial agreements, unless it is contrary to statutory law or public policy. Because of this judicial deference to “commercial language”, you must say what you mean, precisely, or a judge will decide what you meant. Compounding the problem is the fact that courts typically refuse to consider extrinsic evidence of a party’s intent (offered by such party) if they determine the contract language is clear and unambiguous. What is said within the “four corners of an agreement” is simply deemed the best evidence of intent. Saying what you mean, precisely, is as important in drafting statutes and ordinances as it is in commercial agreements. As a general rule, courts will also uphold clear and unambiguous statutory language. “Statutes clear in their terms need no interpretation; they simply need application. If the …language of a statute reveals … a meaning which is clear, unequivocal and definite… the statute must be applied accordingly." Provident Bank v. Wood (1973), 36 Ohio St. 2d 101, 105-106. Even the failure to follow a seemingly trivial grammar rule (the omission of a comma) can result in unintended consequences. In W. Jefferson v. Cammelleri, 2015-Ohio-2463 (a 12th Appellate District case), the court held that a municipal parking ban ordinance that intended to ban parking of motor vehicles and campers from street parking during certain hours did not apply to an individual who parked his truck overnight because a strict reading of the statutory language serves to prohibit a “motor vehicle camper” from being parked on the street for an extended period of time, and a truck is not a motor vehicle camper. Based upon the recent case of State ex rel. Jacquemin v. Union Cty. Bd. of Elections, Slip Opinion No. 2016-Ohio-5880, saying what you mean, precisely is also important with regard to Board of Election petitions, in this case, a “referendum petition”. 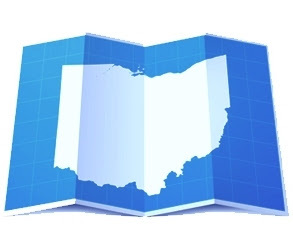 Referendum petitions are petitions to put on the ballot a repeal of an existing law or section of law, and are governed by Ohio Revised Code Chapter 3519. Basically, to lawfully place a referendum on the ballot, petitioners must draft changes to (or repeal of) an existing law, prepare a summary of the same, and garner at least 1,000 signatures. The court then applied the law to the facts and held that the mistake in the petition summary was indeed misleading. How is listing one cross street vs. another ¼ mile away on a 60 acre parcel misleading? According to the court, “the context of the mistake informs its import.” The context in Jacquemin is that the misidentified intersection is near the location of land now zoned for big-box retail use, as a result of a contentious zoning change already approved for a development to the southwest of this property. What is the moral of this story? While it is comforting that the Ohio Supreme Court, in this case looked to context, and not simply that a mislabeling mistake was made, the moral of this story is that our high school English teachers were right, we must “watch our language” because mistakes in the “real world” will be much more costly than a lower letter grade.